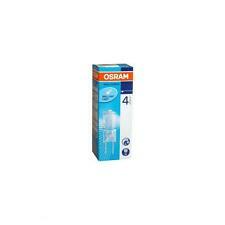 Type : Lampe de mur Cadre: Chrome Abat: verre clair Protection: IP20 Largeur x hauteur en cm : 44,5 x 10 . Une décoration parfaite pour la salle à manger, le salon, la chambre à coucher. Salle d'étude, restaurant, bar, café, etc. - Le design moderne et moderne peut ajouter votre chambre à un aspect fascinant. High light output: 450lm (equivalent to 39W). Colour temperature 2700K warm white. 4W - low energy consumption. 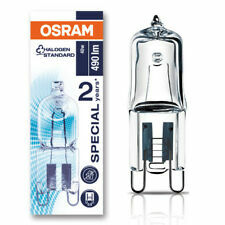 Classic crown silver bulb in LED! Does not apply to all products. We will advise you once the order is placed. 7W Spots LED Encastrable Plafonnier. 4pcs Module LED Rond Panneau LED Rem. Buy It Now. 220V 100W E11 Ampoule Halogène Lamp. MagiDeal Réflecteur Ampoule Spot La. LED G4 Ampoule Spirale Lampe Fluores. Up to 6 fittings can be linked together. The 8 watt fluorescent tubes are also included. We will always do our best to resolve any issues. Physical type to kill mosquito, low energy consumption, no radiation, no pollution, safe and convenient. Solar panel power: 1.7W. Solar panel size: 130 140 18mm. LED lamp beads power: 1W. 1 x Outdoor Anti-mosquito Lamp. Less than £3 per lamp. Warm white 830 colour (3000K). Integrated twist and lock safety key. Good colour rendering (CRI = 80). Instant flicker free start (<0.3s). Average rated life 10,000 hours. Does not apply to all products. LED alternative to Sylvania Hi-spot ES111 GU10 which has been discontinued. Original Sylvania lamp. Colour temperature 3000K (warm white). overall length 65mm. Does not apply to all products. We will advise you once the order is placed. Cap S14s (2 base). Length 500mm. RRP £ 0.00. Lamp life 25,000 hours. Warm white 2700K. Children Girls Bedroom. Ideal for children girls bedroom. Pink Plastic Butterfly 14 White LED. Night Light Lamp Gift. Product Colour: Pink. Light colour: Warm White. Product size:- 26 x 17 cm. Children Girls Bedroom. Ideal for children girls bedroom. Pink Plastic Butterfly 14 White LED. Night Light Lamp Gift. Product Colour: Pink. Warm white 840 colour (4000K). Integrated twist and lock safety key. Good colour rendering (CRI = 80). Instant flicker free start (<0.3s). Average rated life 10,000 hours. Does not apply to all products. 10x Kanlux LED 10W Cap B22 Bayonet Pin Lamp Light Bulb. Power: 10W. LED Lamp for indoor use. Beam angle: 200°. Light source: LED SMD. Model:RAPID PRO LED B22-CW 22953-ML. Working life: 20 000h. 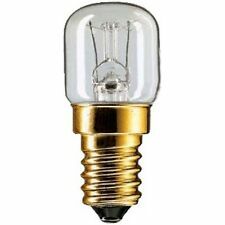 These are for Specialist use and are a traditional antique style lightbulb and have a B22 Base. B22 BC (Bayonet Cap). These are Clear and are in a decorative candle shape. LED line® G9 ceramic LED light bulb SMD 8W warm white. Taking care of comfort and convenience of use, the new strongest G9 8W lamp has joined the range ofLED line. LED line® G9 ceramic LED light bulb SMD 8W warm white specification. With a beam angle of 60 degrees, this lamp is equivalent to a 75W halogen. Other options available in this range. 7W LED GU10 Cool White (Included). 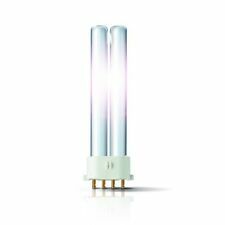 Lamp : 7W LED GU10 Cool White. Dimmable : Yes. Colour temperature : 4000K.